Bread salad, also known as panzanella, dates from the 16th century in the Tuscan region of Italy. It was known as the poor man’s salad since it used stale bread. 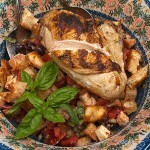 The basic panzanella salad consists of bread, tomatoes, onion, basil and an olive oil and vinegar dressing. The Tuscan bread was soaked in water, and then squeezed dry and shredded into the salad. Summer is the season for this dish since tomatoes of all sizes, colors and varieties grace the farm stands now. Their juicy goodness adds so much flavor to this salad. My bread salad is a compilation I developed from the many recipes that have been created for this dish. I could eat it every day it is so delicious. Gather the ingredients for the salad. Slice the crusty bread into 1” pieces and place them on a large baking sheet. Broil the bread, tossing the pieces half way through, so that both sides are golden brown. This takes about 4 to 5 minutes. 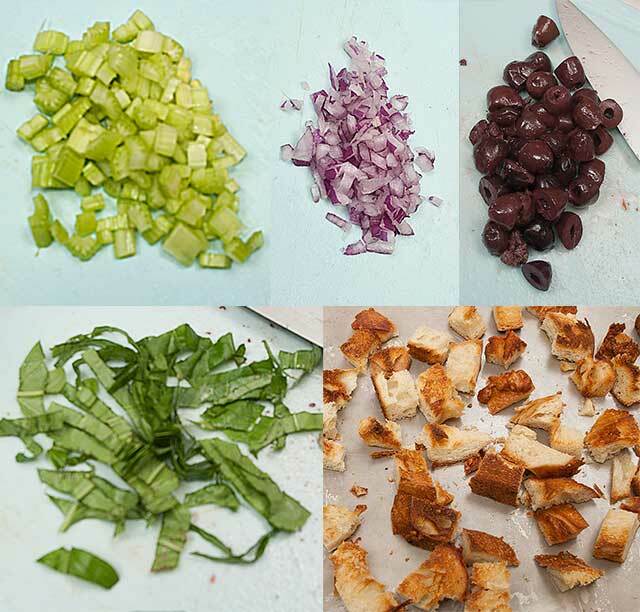 Chop the celery, red onion, kalamata olives and tomatoes into bite sized pieces. Slice or tear the basil. Cut the fresh mozzarella into cubes. 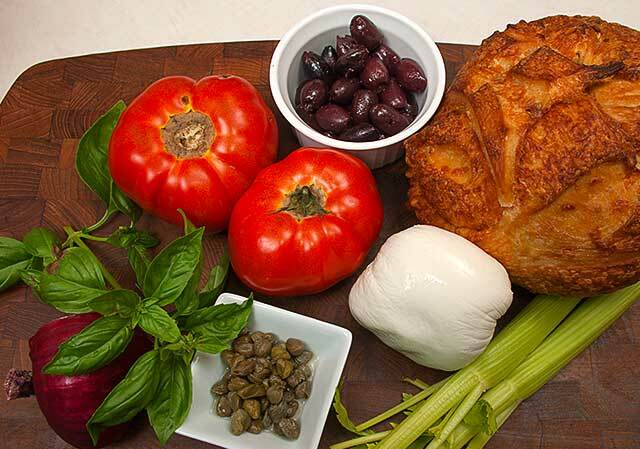 In a large bowl, mix the bread, celery, red onion, kalamata olives, tomatoes, fresh basil and mozzarella cheese. Toss with half the vinaigrette dressing below, reserving the other half for drizzling on the grilled chicken. Season with salt and pepper to taste. Garnish with additional basil leaves. 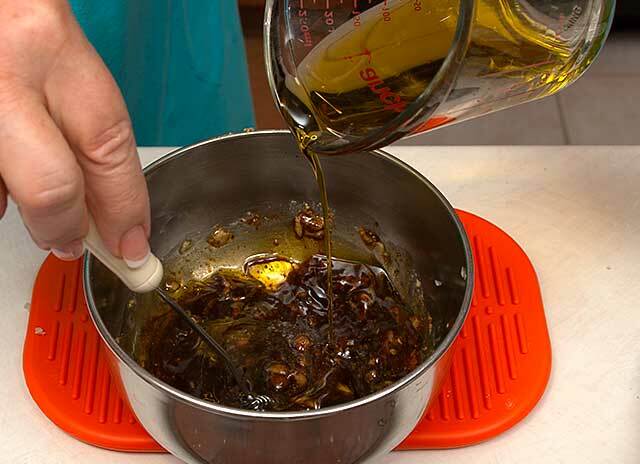 Gather the ingredients for the vinaigrette. 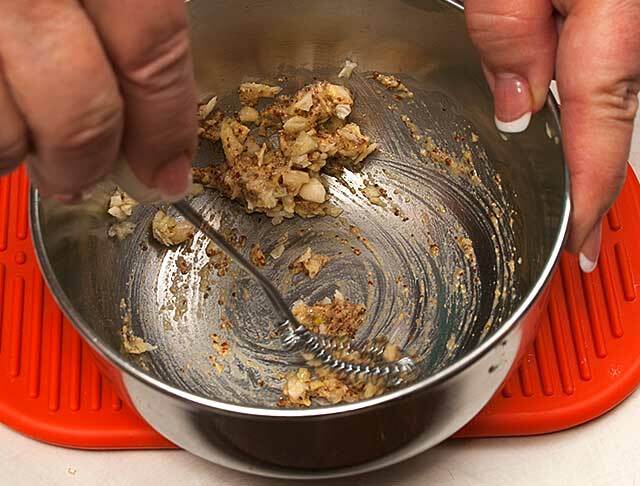 Mince the garlic, with a little kosher salt, until you have a fine paste. 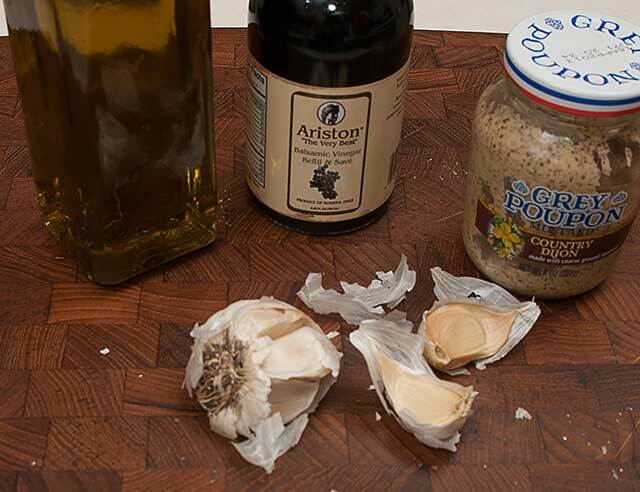 In a small bowl, blend the garlic paste with the Dijon mustard. Stir in the balsamic vinegar. Then whisk in the extra virgin olive oil. Grill bone in or boneless chicken breasts that have been brushed with olive oil, to 165 degrees F. Let rest for five minutes. 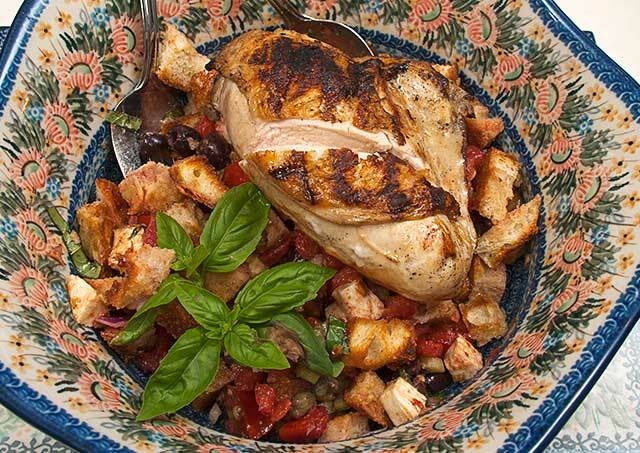 Serve the chicken with the bread salad. If desired, drizzle the chicken with the balsamic vinaigrette.